As one of the UK’s leading gentleman’s outfitter to the horseracing fraternity, an Official Licensee to Royal Ascot, and tailor to trainers and jockeys the world over, Oliver Brown have bolstered their horseracing credentials further with their latest announcement. We are delighted to announce that we are now the headline sponsor of racing syndicate Chelsea Thoroughbreds. Our logo will adorn their double blue silks throughout the season, and the countdown begins to Cheltenham and the start of the 2019 turf season. Founders Richard Morecombe and James Ramsden created Chelsea Thoroughbreds, a London based Racehorse Ownership "Club”, through their combined experience and passion for horse racing. 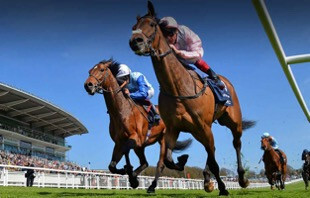 The syndicate enables not just current racehorse owners, but also those who are new to the sport, to benefit from their huge wealth of experience & connections throughout the industry. Humphrey Bogart, one of the club's older horses trained by Nicky Henderson. Their aim is to make every part of a shareholders Thoroughbred investment an exclusive, pleasurable & five-star managed experience - all based in the heart of Chelsea. The success of Chelsea Thoroughbreds so far is testament to the team’s passion for the sport. To be kept up to speed with all the drama on the turf, follow us on Facebook, Instagram and Twitter where we’ll be sharing all the latest runners and riders as they happen.